O King Eusébio festejou ontem o seu 69º Aniversário e também os 50 anos da sua chegada a Portugal com uma Gala no Coliseu dos Recreios, em Lisboa, em homenagem ao Pantera Negra. Ele que era para assinar pelo Sporting e que terá sido sequestrado por um funcionário do Benfica que o levou até a uma casa no Algarve e o fez assinar um contrato com o clube, rumando assim à Luz. 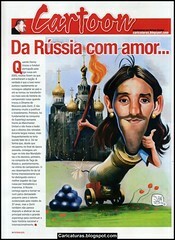 O resto são favas contadas. 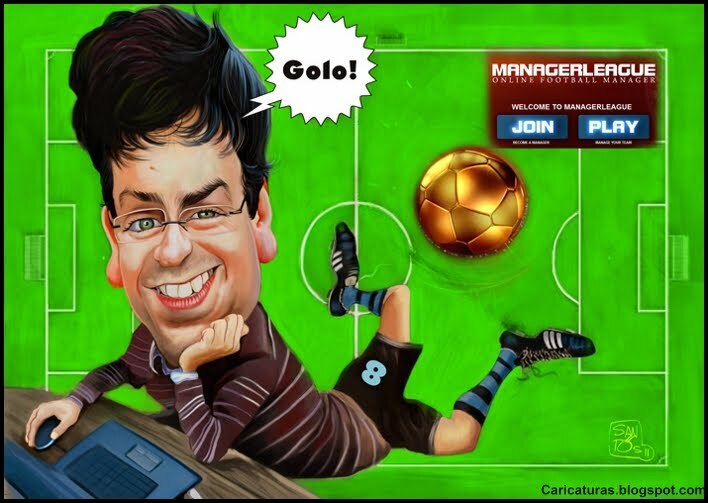 Football Manager League Caricature commissioned as birthday gift idea for who has everything. The game is like Football Manager but its played online via browser. I haven't tried it yet but i´m a fan of these kind of games. Might give it a review later. Back to studio! Robert Pattinson caricature work in progress. 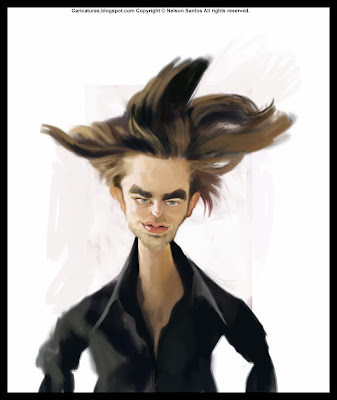 I think this guy would be great as Songoku! Happy Birthday Mary J. Blige! i just like this womans voice and she has a lot of charisma. 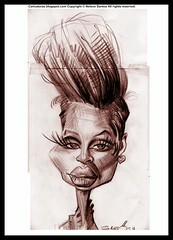 She will star in a movie in 2012 playing as Nina Simone this would be cool! 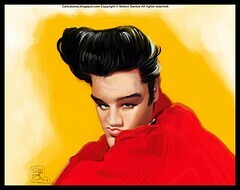 Happy Birthday caricature of Elvis Presley The King would make is 76th anniversary today and as he is one of my idols from youth i painted him to do him my proper homage, its still a work in progress but i like it this way simple. The King lives on! 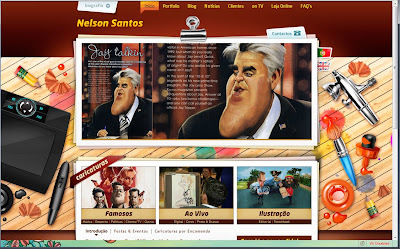 Feliz Ano Novo 2011 para todos os visitantes de meu humilde blogue e que melhor maneira de começar ano em grande com um novo site www.nelsonsantos.pt e não esqueçam de fazer muitas encomendas de caricaturas. Tomem nota da oferta abaixo também! 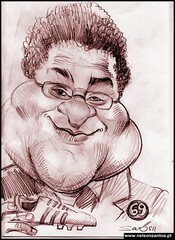 Happy New Year 2011 everyone and what better way to start with a New Website www.nelsonsantos.pt and dont forget to comission me lots of caricatures. Also take not of the promotion below. 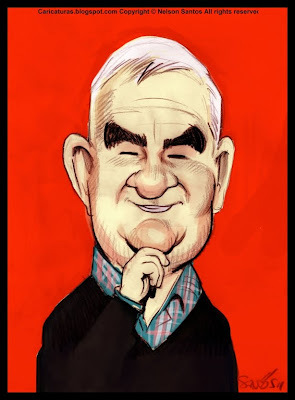 Caricatura grátis no Facebook / Free caricature on Facebook! 3.001 conhecidos! Está na altura do sorteio para uma caricatura original em aguarela grátis no valor de 400 euros para tal basta deixar aqui um comentário, o mais engraçado, original e divertido ganha a caricatura; a frase tem de começar "Eu quero ganhar uma caricatura porque..." O vencedor será anunciado aqui no dia 10 de Janeiro ás 09h. 3.001 known people! It is the time for drawing an original free caricature in watercolor worth of 400 euros for such you only have to leave the funniest, original and amused commentary here to win the caricature; the phrase has to start " I want to win a caricature because… " The winner will be announced here in the 10th of January after 9AM (Lisbon time).